It’s Dakar time right now, with over 160 motorcycles racing through Paraguay, Bolivia and Argentina. 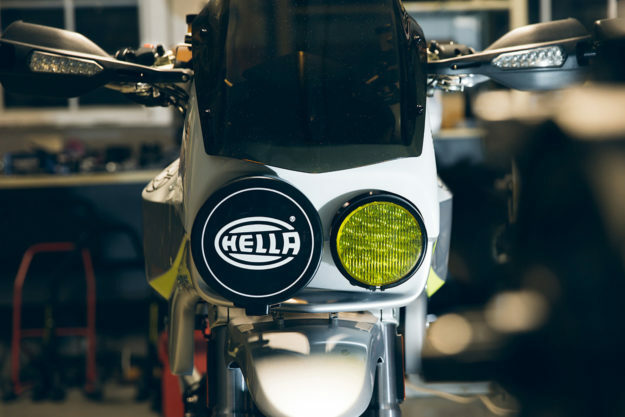 The rally raid bikes have always looked good: they’re extreme examples of form following function. Master builder and ex-racer Walt Siegl is a fan, too. 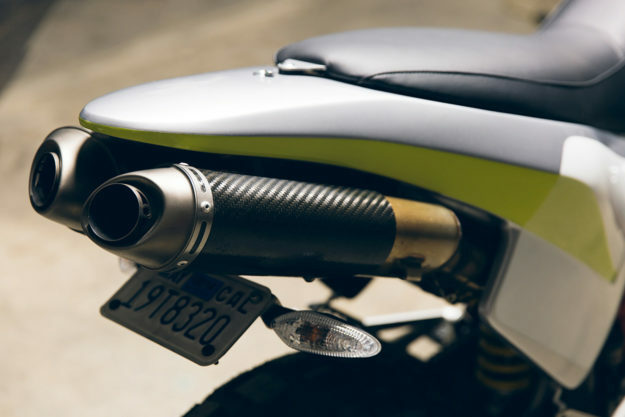 “I’m always thrilled to see the brutal design of the Dakar bikes,” he says. 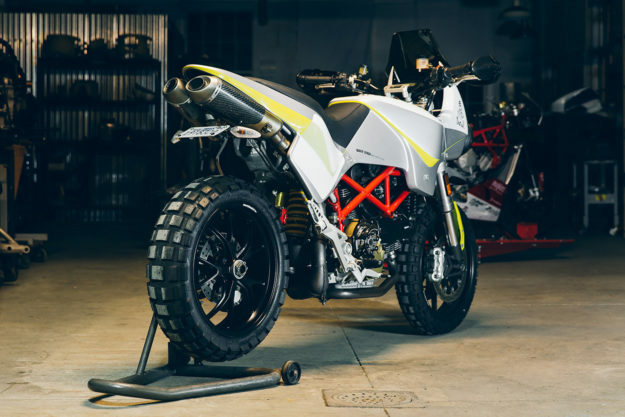 And to prove it, he’s just built a stunning Ducati Hypermotard that transfers that aggressive style to the street. 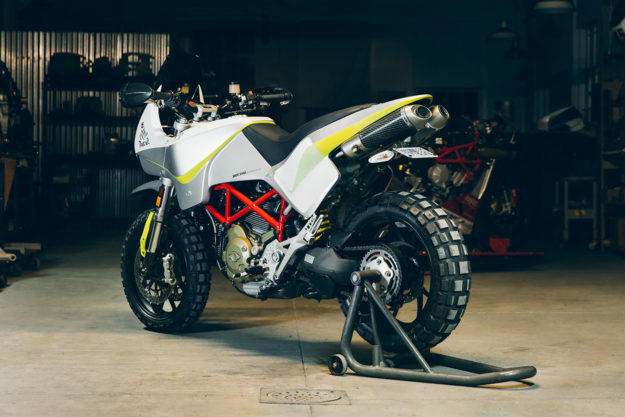 But ‘vintage’ and ‘Hypermotard’ are not words you expect to see in the same sentence. 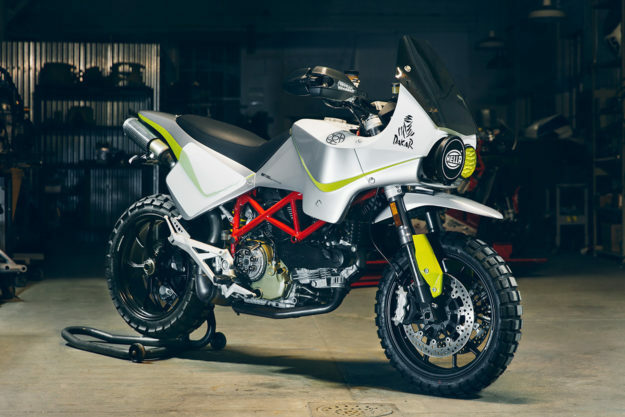 The Hyper was Ducati’s attempt at a radical new approach to design in the mid-2000s, driven by CEO Federico Minoli (who, incidentally, is now a part-owner of Deus Milano). The stock bodywork is angular and pointed, and there are signs of computer-aided design everywhere. It’s not the easiest bike to revamp, but that didn’t deter Walt. But that’s no bad thing. 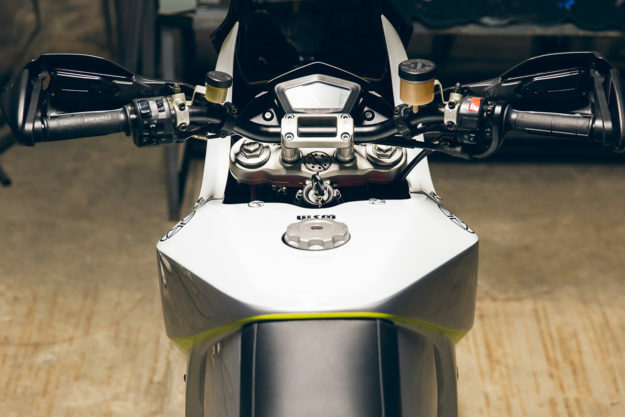 With almost 100 horsepower going to the back wheel, and 50mm Marzocchi forks up front, your regular Hypermotard 1100 provides plenty enough thrills for most riders. Walt decided to focus on the bodywork, and take his cue from the 1980s. “As we all know, the 80s are considered a difficult period for design,” he says. The new composite bodywork looks glorious—and it weighs much less than the parts molded in the Bologna factory. Walt built his own ‘hot knife,’ took a seven-foot long Styrofoam block, and carved out the shapes. After using files to fine-tune the block, Walt wrapped it in fiberglass for structural integrity, and started crafting the details with automotive bondo. The final shape was then used to build composite molds for the end product. The new body is in three pieces, and is attached to the chassis with aluminum standoffs. It takes just three minutes to remove. 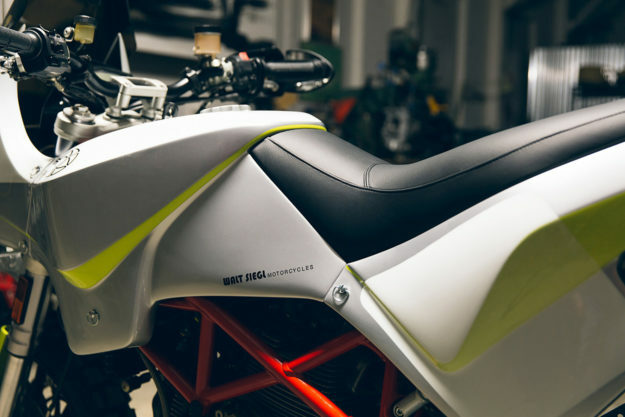 Walt even shaped the neatly integrated screen in fiberglass; it was finished off by Gustafsson Plastics, who have been making screens for custom bikes since 1968. 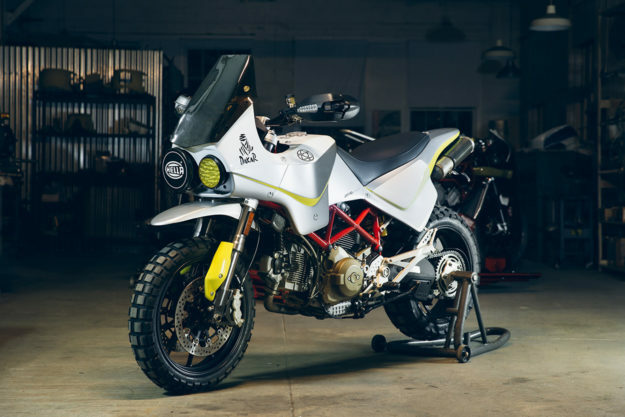 Like all Walt Siegl motorcycles, the Hypermotard is beautifully finished: It’s up there with a factory bike handpicked off the production line and given extra detailing for a PR shoot. If this means the 80s are back, we’re all for it.